Listen to the cries of bats. The audible range of a human being only covers a minor part of the existing sound spectrum. Normally, very interesting sounds, such as cries of bats, noises of leafs in the wind or even the sound of ultrasonic remote controls and various alert sensors, are not audible to the human ear. Our new ultrasonic converter transmits these signals into an audible range and thus offers multiple interesting acoustical experiences. Equipped with a high quality NF microphone covering an extended frequency range up to 100 kHz, the PKI 8545 converts these high frequencies into the frequency range that can be heard by human ears. Also very useful to detect devices installed for protection from mosquitoes, mice, martens, etc. These devices are constantly emitting ultrasounds, some of them of extremely high intensities. It is not excluded that these ultrasounds have a negative impact on the human well-being and at high intensities may possibly cause headaches or other adverse health effects. 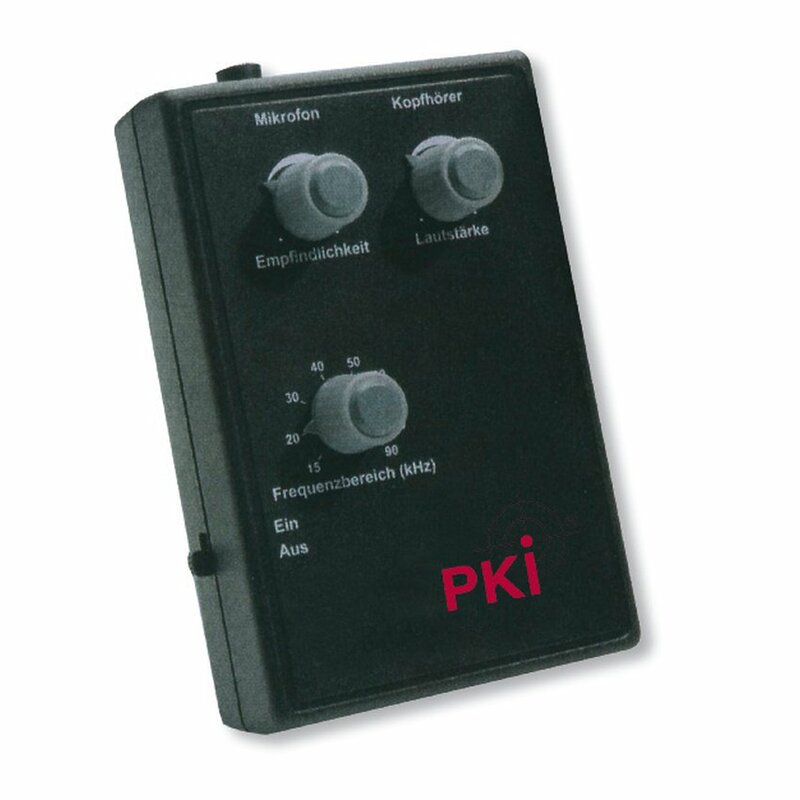 The PKI 8545 helps finding those sources of interferences.